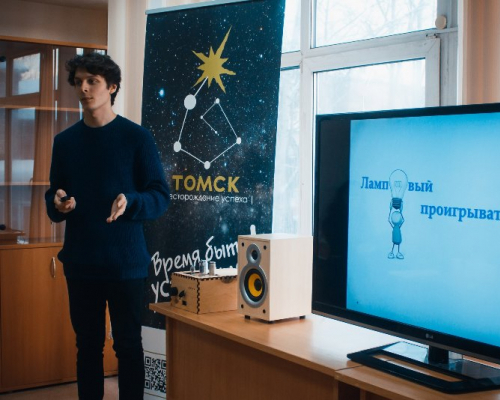 Tomsk Polytechnic University together with a spin-off Open Innovation Management Company is selecting technology startups for further ‘packing’ of projects and searching for venture investments for their development. Internal evaluation will identify 10 TPU projects to present to partner venture foundations. The application deadline is 1 April. The selection is open for technology projects with already developed prototypes. The project team should include at least two people. Selected projects will become residents of the business incubator Polygon of Engineering Entrepreneurship of Tomsk Polytechnic University, get support from TPU Open Innovation during a year, i.e. experts will assist in ‘packing’ and expert review of the projects, promotion and fundraising. Additionally, teams will participate in technological exhibitions and competitions in Russia and abroad, as well as design marketing materials for further promotion. Now Open Innovation is a venture agent of already six foundations, among them are, for example, Phystech Ventures, North Energy Ventures, Schneider Electric. To participate in the selection the potential team members shall send their application to zvmat@tpu.ru until 1 April 2018. Experts of the Open Innovation will evaluate each application and advise what should be added to the project presentation. From 2 to 8 April TPU experts with specialists will consult the teams. The final selection is scheduled on 11 April 4 p.m. in the TPU business incubator (off. 309, 51 Belinskogo St.). The projects will be evaluated by directors of TPU Schools and subject experts who are representatives of the innovation infrastructure of the Tomsk region. You can find out the terms of participation in the selection of projects here.